*Registrations can be taken on the day of attendance. 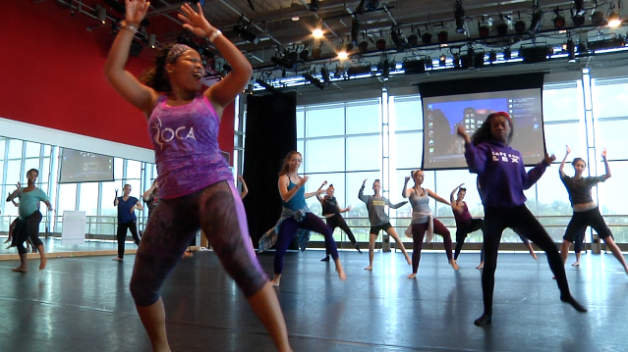 Join us at UMBC for a week-long summer dance education experience like no other! And, please feel free to email us if you have a special session request. 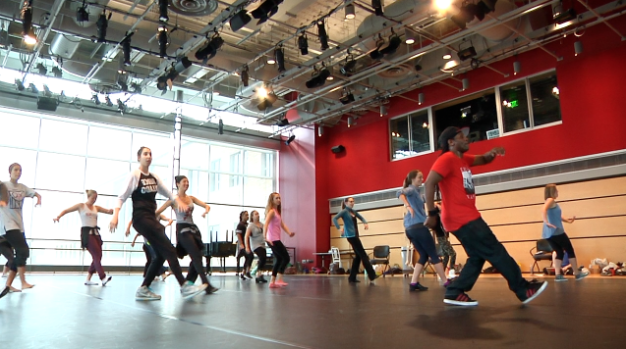 What is the Dance Educators Training Institute (DETI)? We believe that outstanding teaching takes place when educators are passionate and engaged in their own artistic growth! 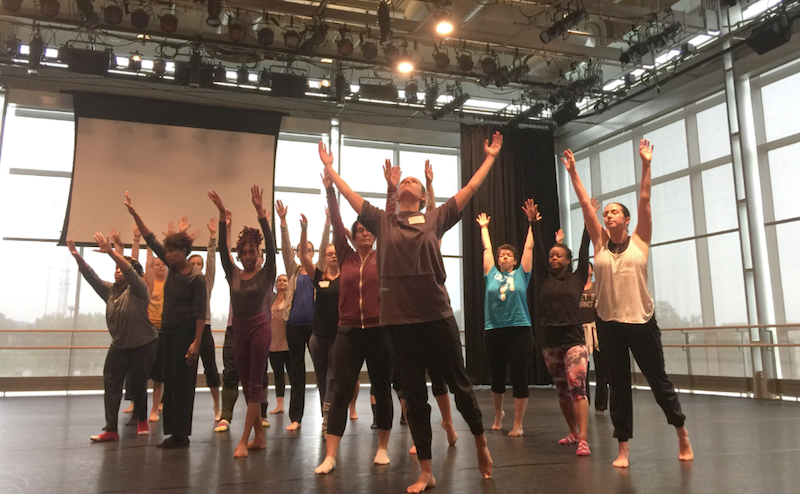 ClancyWorks Dance Company and Baltimore County Public Schools Office of Dance co-present intensive professional development programs for artists teaching dance, called the Dance Educators Training Institute (DETI). These week-long workshops are designed to enable participants to delve deeper into their artistic pursuits and to enhance their pedagogical techniques in a challenging and supportive environment. Who is DETI Intended to Serve? 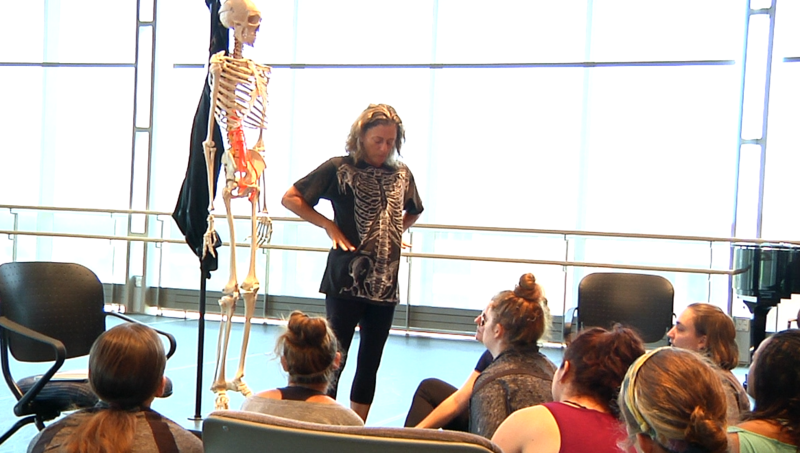 Sessions are open to the public, with a particular interest to serve choreographers, performers, highly experienced dance educators as well as teaching artists who are just beginning to work in the field of dance education. Administrators and participants from various arts and educational disciplines are invited and encouraged to attend the workshops. Click here to see highlights a previous DETI at UMBC. Read this article about a recent DETI workshop. Course Description: This Dance Composition and Design course is an examination of the choreographic tools and processes through the development of improvisational techniques, compositional basics, the elements of compositional design, and the critical response process as well as the creation of new choreography. This course supports the mentoring of student compositions and refinement of best practices for compositional development at all instructional levels. Please click here for course registration. Log-in is required. From the north, take Interstate 95 to Route 166 (Exit 47B, Catonsville) or take Interstate 83 to the Baltimore Beltway (I-695, west) and then take Exit 12C (Wilkens Avenue, west); follow the signs to UMBC. From the south, take Interstate 95 to Route 166 (Exit 47B, Catonsville); follow signs to UMBC. Baltimore-Washington International Airport is only five minutes away. Bus service is available from downtown Baltimore. AMTRAK and MARC commuter trains serve the nearby BWI Rail Station. PARKING: Our designated parking lot for the DETI is Lot 22, which you can locate on the campus map. Please note on the map parking is circled in blue, and on-campus dining options are circled in yellow. Please display the parking pass you receive in your Welcome Folder in your front dash at all time while parked on campus. The pass is good for all ZONE A parking. DINING: We will provide a light breakfast/snack for the Monday Morning Welcoming. For the workshop you may pack a lunch each day or grab lunch at one of the convenient on or off campus dining establishments. NOTE: Housing will not be provided. However, if you need assistance in finding local options, please feel free to reach out to us.